Congratulations to Luv Saving Money, our new Partner in Kindness! Each month, we select one Partner in Kindness, a savvy-saver blogger that re-posts our coupons and “goes beyond the savings” incorporating a message of Kindness & Helping Others. Luv Saving Money posted an inspiring message about local non-profits. Thank you Angie for helping spread the KINDNESS message to your audience. Excerpt from site: “Have you heard of CommonKindness.com? I hadn’t, until recently, but I wish I would have. Y’all know I like to save some money. I love a good coupon and I certainly use coupons on my shopping trips. CommonKindness.com has a bunch of great coupons and online discount codes to save you money. They have a great selection of coupons for organic and natural grocery products as well as other brands. Even as a regular couponer, I noticed that the coupons they have on their site aren’t coupons you can find on just any coupon site. That’s not all though. Sign up for a free account and select a non-profit organization to support while you print coupons. No kidding. Shoppers who purchase luxurious Kiss My Face moisture shave and hair care products using CommonKindness.com coupons save money and help fund their favorite cause. Kiss My Face products are available at most Whole Foods Markets and other fine retailers, and are the perfect addition to a personalized holiday gift basket. CommonKindness.com has launched printable coupons for Kiss My Face moisture shave and hair care products on its online coupon gallery. Along with other CommonKindness coupons, each Kiss My Face coupon that is redeemed at the register saves the shopper money and generates funds for the nonprofit organization of their choice. Kiss My Face operates on principles of responsible leadership and altruism, said Schloemer. The company gives 10 percent of the proceeds from the sale of its Castile Peace Soap to Seeds of Peace, an organization committed to bringing peace to the world. Guided by the philosophy that “treaties are negotiated by governments; peace is made by people,” Seeds of Peace has set the standard in international peace-building since 1993. The 501(c)3 nonprofit organization provides exceptional young people and educators from regions of conflict with an otherwise impossible opportunity to meet their historic adversaries face-to-face at its International Camp in Maine. Seeds of Peace offers year-round programs that focus on the core leadership capacities needed to advance peace. There are now over 5,000 “Seeds” and educators from 27 countries proving that solutions exist, peace is possible, and there is reason to have hope for a better future. Kiss My Face founders Bob Macleod and Steve Byckiewicz encourage CommonKindness shoppers to consider choosing Seeds of Peace as their designated nonprofit organization when registering on the coupon website. Shoppers just go to CommonKindness.com, fill in the easy sign-up form, and designate their favorite nonprofit from the user-friendly directory. Shoppers simply select their printable grocery coupons for Kiss My Face products and many other items they typically use or wish to try, print them out, and head to the store. Twenty percent of the coupon distribution fee is given to the nonprofit group of the shopper’s choice for each CommonKindness coupon they redeem at the cash register. Kiss My Face supplies the world with natural, effective, and animal cruelty-free personal care and beauty products. Founded over 30 years ago by Bob Macleod and Steve Byckiewicz on a 200-acre farm in New York’s scenic Hudson River Valley, Kiss My Face makes luxurious and moisturizing hair care products, shaving crème (moisture shave), sunscreens, and toothpaste. To learn more, go to http://kissmyface.com or call (877) 712-9992. CommonKindness.com is the new online grocery coupon site that operates on the principle of kindness and aims to benefit consumers, nonprofit organizations, and brands. CommonKindness is revolutionizing the online coupon industry by eliminating coupon loading and change costs, charging brands only for coupons redeemed, and donating 20% of its revenue to nonprofit organizations chosen by CommonKindness shoppers. To learn more, go to http://CommonKindness.com or call (415) 729-9658. Cuties Juice ~ NO Added Sugar, NO Dyes, NO Preservative…NO KIDDING! Cuties Juice comes straight from the best source: Nature! Cuties carefully blends fruit at its eco-friendly juice plant in California and bottles it so Cuties can be enjoyed year-round. Cuties never adds add funny stuff. There is NO added sugar, NO dyes, NO preservatives, or any other sneaky stuff. Cuties’ 100% Tangerine Juice is never from concentrate and Cuties’ Smoothies are 100% Juice. Each serving delivers two full servings of fruit and 150% of the RDA for Vitamin C.
Every Pyure Organic Stevia purchase using a discount coupon from http://www.CommonKindness.com earns a donation for the shopper’s favorite nonprofit organization. 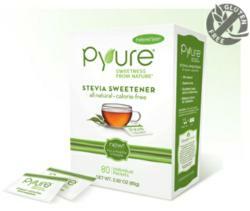 Money-saving coupons for high quality, all-natural, organic, and sugar-free stevia sweetener by Pyure are now available from CommonKindness.com, the free online grocery coupon leader. The sweetest part of the deal is that each Pyure coupon redeemed generates funds for the coupon shopper’s favorite charity. Pyure integrates humanitarian and earth-friendly policies and practices at every step of its supply chain and production process. In addition, Pyure donates a portion of its proceeds to diabetes education and other social and environmental causes chosen by customers. Partnering with CommonKindness to promote sustainable funding for nonprofits is another way Pyure fulfills the Pyure Promise to help improve the world. Pyure extracts steviol glycosides—the sweet-tasting compounds in the stevia plant—from the sweetest, purest part of the stevia leaf. Unlike other stevia producers that use whatever stevia species is available at the time of manufacturing, Pyure extracts its stevia from a single species, ensuring that each batch of Pyure Stevia is of the same exceptional taste and free of any lingering bitterness. This consistent attention to high quality has made Pyure the premier choice of consumers and commercial formulators. Sugar-free, calorie-free, Pyure Organic Stevia is blended with organic agave inulin fiber for “super fiber” prebiotic properties that promote complete intestinal health. “Because our products do not induce a glycemic response when ingested, they have gained widespread use among those living with diabetes or maintaining low-carbohydrate diets,” said Pyure spokesperson Chelsey Jones. Jones also notes that Pyure Organic Stevia is kosher-certified and organic-certified by Organic National and International Certifiers (ON&IC). “For an increasing number of people, Pyure Organic Stevia is the perfect sugar-free sweetener,” said Jones. To start using Pyure stevia coupons, go to CommonKindness.com, fill in the easy sign-up form, and designate your favorite nonprofit from the user-friendly directory. Then select Pyure and other printable grocery coupons for items you typically use or want to try, print them, and head to the store. For each Pyure coupon redeemed, CommonKindness will donate 20% of its distribution fee to a nonprofit group of the shoppers’ choice. To learn more, go to http://CommonKindness.com or call (415) 887-9537. Established in 2008, Pyure Brands—one of the largest and fastest-growing independent stevia companies in America—is on a mission to help people live a healthier lifestyle without sacrificing taste. Pyure Brands produces the best-tasting all-natural and organic stevia products on the market, and the most thoroughly tested for flavor and consistency. To learn more, go to http://www.pyuresweet.com or call (305) 509-5096. You can help support the Special Olympics and thousands of other nonprofit organizations by using coupons from http://www.CommonKindness.com. My life and my family’s lives were forever changed on April 20, 2009 when my daughter Kelli told us our beautiful grandson Colin was born with an extra chromosome and Down Syndrome. Since then, my eyes have been opened to a world of love, caring, joy, accomplishments, disappointments and hope. Most importantly, I’ve learned how many friends and family members Kelli and Chris have that are there for them and Colin. The CAT Crew (which stands for Colin Allan Tobin) was organized by Kelli and Chris’s friends, Jorie and Zach Gallagher. They had participated in the Polar Bear Plunge in prior years and thought it would be a great way to support the Tobin family, as well as raise money for Special Olympics New Jersey in honor of Colin. My two years of fundraising has been an experience I will never forget. Everyone that responded to my request was unbelievably generous and had nothing but kind words to say about the plunge, Special Olympics, our team, and especially Colin. It was amazing how many people told me that they had either done the Polar Bear Plunge or had volunteered for Special Olympics at some time in their lives and how rewarding it had been for them. My first plunge in 2010 was the most memorable, as it was on my birthday in March. It was the best birthday I ever had. Both years were a surreal experience, with the day full of warm sunshine, cold water, and just a mass of humanity on the beach. It brought tears to my eyes, standing there with my family supporting this great event for Special Olympics New Jersey, all for my grandson Colin. When I was in the water, I was able to stand and face the beach. When I saw all the people in the water, on the beach and on the boardwalk, it was one of the greatest feelings I have ever felt in my life. I know that I will be doing this every year for the rest of my life with the CAT Crew, and each year will continue to get better as we share more and more experiences in preparing for that day. From the early morning breakfast, to assembling on the beach, to the anticipation of the Plunge standing with our team and other teams, to the singing of the Star Spangled Banner, to the countdown, to the actual Plunge and finally the after-party for CAT Crew, are moments that make you feel that you are doing good for people. Finally, I know that Colin being in my life has changed it forever, and by that I mean in such a positive way. I am more of a compassionate man in what I say and do, more understanding, more sensitive to people and their needs, and of having that feeling of wanting to do as much as I can for Colin, for the Polar Bear Plunge, for Special Olympics, and for any organization that supports Down Syndrome. That is why I do the plunge and why it is now so important to me. I feel I am doing a part in helping people and society, and it is extra special that by raising funds for Special Olympics New Jersey, it will in fact benefit Colin in the years to come. Want to take the Plunge? Go to http://www.njpolarplunge.org/ to join or create a team. Celebrating its 20th anniversary, the Seaside Heights Plunge, scheduled for February 23, 2013, has grown to more than 5,000 participants who travel from as far as California to be a part of the fun. Radio station NJ 101.5’s Big Joe Henry, “the Voice of the Plunge” broadcasts live from the Aztec Ocean Resort, site of the Plunge, with interviews, updates and a countdown to Plunge you won’t want to miss. Registration begins at 9 a.m. with the Plunge scheduled for 1 p.m. The Wildwood Plunge will take place January 19, 2013 at The Wildwoods Convention Center. 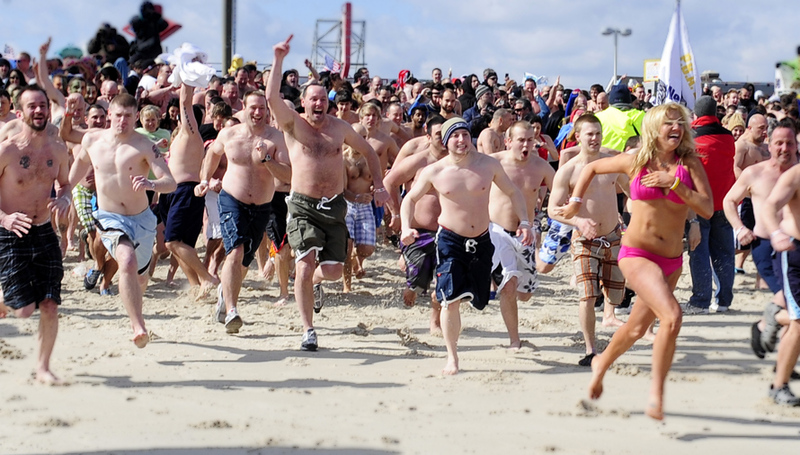 This Annual Plunge is catching on throughout southern Jersey and beyond. Complete with (warm) indoor facilities for registration and changing, the Wildwood Plunge has grown in popularity each year. Registration opens at 10 a.m. with the Plunge scheduled for 1 p.m. Praised for using natural ingredients by nutrition-conscious food-lovers, Food for Life has joined a family of progressive companies helping to create sustainable funding for America’s nonprofit organizations by posting coupons on www.CommonKindness.com. CommonKindness is the free printable coupon website that donates 20% of the coupon distribution fees it receives from brands to the nonprofit organizations coupon redeemers choose when they register online. Food for Life Baking Company is a family-owned and operated specialty bakery with a passionate commitment to making natural foods through an exclusive sprouting process that significantly increases the amount of valuable nutrients in its sprouted whole grain breads and other products. Rich in protein, vitamins, minerals, and natural fiber with no added fat, Ezekiel 4:9 organic sprouted whole grain products contain 18 amino acids, including all nine essential amino acids. They are naturally flavorful, and bursting with nutrients, including a complete all-vegetable protein that it is 84.3% as efficient as the highest source of protein. Few consumers have access to many of the super nutritious, exotic grains and seeds from around the world, so Food for Life brings them together in Genesis 1:29. Food for Life uses only the highest quality organically grown grains and seeds, and sprouts them to maximize nutrition through enzymatic action and germination. The term “certified organically grown” indicates the grains are grown and processed without the use of spray fertilizers, chemicals, or pesticides and the land where the grains sprout has not been sprayed for at least three years. Certified organically grown grains are verified by certifying agencies as having been processed according to the standards and statutes of the Organic Foods Act of 1990. Food for Life products are made with filtered water and are kosher-certified. Every Food for Life product is developed after countless hours of research. Food for Life has developed exclusive baking processes to ensure proper moisture levels, texture, and maximum flavor without losing vital nutrients and important natural fiber. No additives, artificial flavors, colors, or preservatives are ever used. To start saving on Food for Life products, shoppers simply go to http://www.CommonKindness.com, quickly register, and designate their favorite nonprofit from the user-friendly directory. They then clip their Food for Life coupons and head to the store. For each coupon redeemed, CommonKindness donates 20% of the distribution fee it receives to the shopper’s designated nonprofit group. 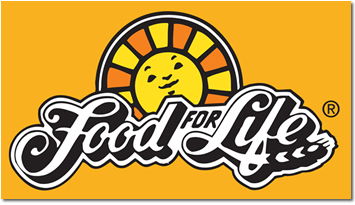 Food for Life Baking Company of Glendale, California started in 1964 in the back of a small neighborhood store known as Foods for Life Natural Foods. Today, after more than three generations and 60 different bread products, Food for Life remains a family-owned enterprise that uses its original baking techniques to make truly authentic and flavorful sprouted grain breads. All Food for Life bakery products are made from the finest natural ingredients to provide optimum nutrition and maximum taste. To learn more about Food for Life, go to http://www.foodforlife.com or call (951) 279-5090. CommonKindness is the new free grocery coupon site that operates on the principle of kindness and aims to benefit consumers, nonprofit organizations, and brands. CommonKindness is revolutionizing the online coupon industry by eliminating coupon loading and change costs, charging brands only for coupons redeemed, and giving 20% of its revenue to nonprofit organizations. To learn more about CommonKindness, go to commonkindness.com or call (415) 887-9537.